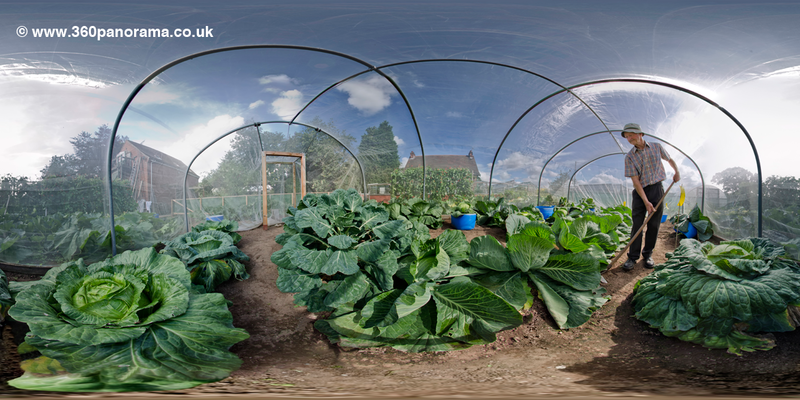 Nottinghamshire gardener Peter Glazebrook is the daddy of giant vegetable growers. He has a long standing reputation for producing award winners and record holding monsters. 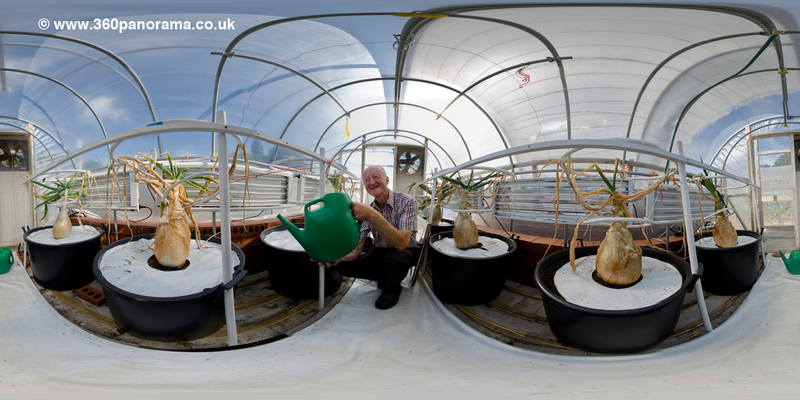 As you wander through the polytunnels in his garden you see onions growing on pedestals, surrounded by artificial lighting and cooled by fans. Leeks look like small trees and the cabbages will only just fit into his wheel barrow. The vegetables may look like mutants from a science lab but they come from simple cross-pollination. Peter explains it as essentially the lesson of the birds and the bees, only with giant onions as the outcome. The frustrating part for the grower is that they have no way of knowing how they have done until they uproot their vegetables and clean off the dirt. Peter, 69, devotes his life to his garden. He says he is ‘full-time’ at it and his wife, Mary, helps with a lot of work as well. They don’t have a holiday, and just go away when visiting the shows. Peter is up at six and usually working until it’s dark. The hours are long, the costs of heating and cooling their greenhouses are expensive and the financial rewards are minimal. 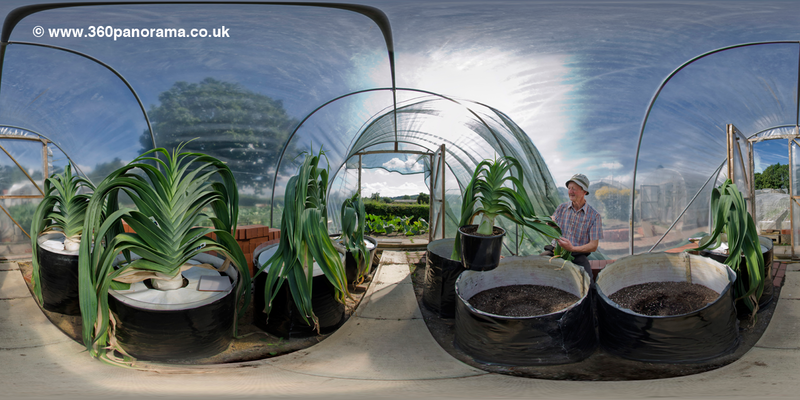 The retired building surveyor proudly showed me around his garden and I shot some interactive 360 degree panoramas for the Mail Plus for iPad app. Peter claims giant vegetable growing is a gentle pastime for gentlemen. It may largely be about sheer weight, but a tender touch is needed to get to the scales. Too much sun or some heavy rain and months of hard work can be ruined in an instant. Peter has held eight world records, including one for the biggest onion weighing 8.16 kg. This years attempt came up just short as his onion only weighed 6.84 kg ! Click on the images below to join me in Peter’s garden.